Doctor Who Online - News & Reviews - You, Me & Him - Birmingham Film Premiere Ticket Opportunity! You, Me & Him - Birmingham Film Premiere Ticket Opportunity! A limited number of tickets are available for a special screening of David Tennant's new movie; You Me & Him, for just £36 each. The premiere, will be held at Cineworld; Broad Street; Birmingham, on 31st March 2018 at 6.30pm. There's an even greater incentive behind the special opportunity, however, as it helps support Baby Lifeline - a unique mother and baby charity supporting the care of pregnant women and their newborn and unborn babies. David Tennant has become an Ambassador for this charity’s £5 million Monitoring for Mums Appeal, to provide monitoring equipment for maternity and neonatal units across the UK. This premiere promises to be a dazzling event with David and others in attendance and walking the red carpet! 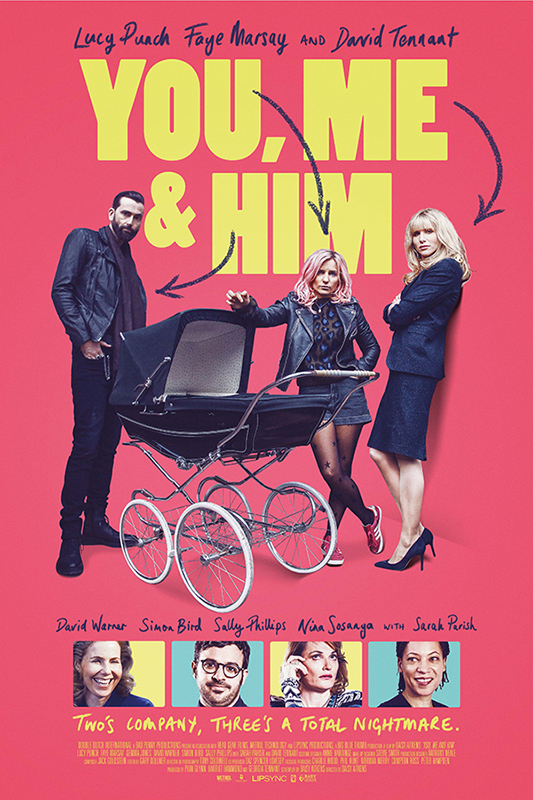 You Me & Him is a lesbian romantic comedy about a couple at different points in their lives: high-powered lawyer Olivia (Lucy Punch) is nearly 40 and wants to start a family but her free-wheeling younger partner Alex (Faye Marsay) doesn't share her urgency. What happens next involves recently-divorced neighbour John (David Tennant) and creates a tangled web of consequences, and pregnancies. David Tennant, Georgia Tennant (who is also Producer), Daisy Aitkens and more stars of You, Me & Him will attend the premiere and address the audience before the screening. Celebrities from the world of sport, television and radio will join the cast on the red carpet, and to watch the film. For tickets please contact Hayley McCaffery: communications@babylifeline.org.uk or call 01676 534 671.